Sheet Music: Qué hacés, chamberguito? Tune of the Day: Qué hacés, chamberguito? 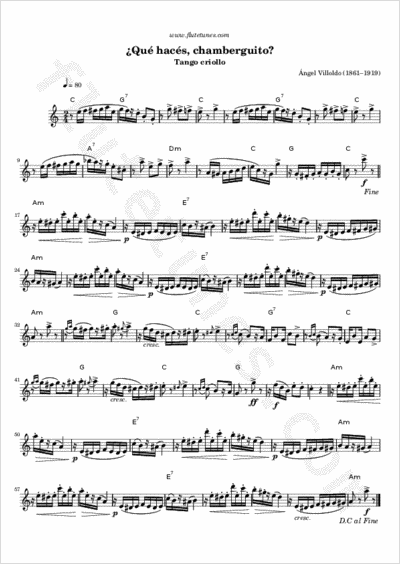 Here is a new tango arrangement for flute and guitar. This “Creole tango” was composed by Argentinian singer and composer Ángel Villoldo, often nicknamed “the father of tango”.